Change is an every day though within organisations. The challenges placed on organisations are complex and the balance of priorities between customers, economicpressures and performance are what differentiate good organisations from great ones. True transformation in organisations is complex and a multi-dimensional process. Leaders today are seeking radically to improve performance by changing behaviour and capabilities at all levels. Most leaders are also wanting help to up their skills and be able to create and sustain change efforts. Our 1-day workshop addresses these concerns and helps leaders and organisations be more innovative, agile, effective, and future-ready. Using the Whole System Transformation model, we provide you the insights, framework and road map to transform your organisation. Come and join us as we transform the face of change, and enjoy this journey with us. Click here for more info and to book! Change is an every day though within organisations. The challenges placed on organisations are complex and the balance of priorities between customers, economic pressures and performance are what differentiate good organisations from great ones. Most organisations have values they write up as part of their strategic planning process. Are these however the real ones within the organisation? Are they being lived and role modelled? This webinar explores the topic and gives some handy tips to ensure your organisation is really living these values. Learn how valuable staff networks can be to employee engagement. Hear about a successful case study. As the world opens its doors to a diverse workforce and a global market, organisations are wondering how national culture influences engagement or if it does at all. Register to this webinar to discover some of the most up to date views. The time is here to tell our story and officially launch into the world! Please register at our Event Brite page and come along to celebrate and learn more about us. March's webinar is all about how to create inclusive change and ensuring a communication flow throughout the process. I will be speaking at this Conference on day 2. It is quite a big conference with a couple of threads and very interesting speakers. Health and Wellbeing at Work is all about improving the health and wellbeing of work-aged people. The conference and exhibition will provide you with new ideas and resources to ensure your employees are engaged and motivated, healthy, return to work quickly following absence and stay in work. Profiling national developments, service innovations, examples of best practice and the latest research, it provides an unrivalled learning platform that will energise and inspire you. One of the key pillars to Employee Engagement is Strategic Narrative, but how powerful is it if the Strategy is just decided at the top? Join the webinar to get great tips and hints on how to become more inclusive when setting organisational strategy. Discover the advantages of engaging employees from the start and the power of this different way of working during the implementation of the strategy. Gen Y, are they really that different? Join the webinar to explore the world of Gen Y at the workplace. Have an overview of the current demographic and the potential generational clashes of having three generations working under the same roof. Also, review the concerns of organisations facing a growing Gen Y demographic and join the debate to see if these are real, myths or just the tip of the iceberg. This webinar is sure to leave you reflecting and challenging some of the current thoughts around Gen Y. The first of our webinar series covers goals settings. From using top tips from the personal development world to setting clear organisational strategy for the next year, goal setting is a must for all organisations. This session is aimed at individuals and groups who contribute to the overall organisational success of an organisation. Webinar series dates and registration are now open! 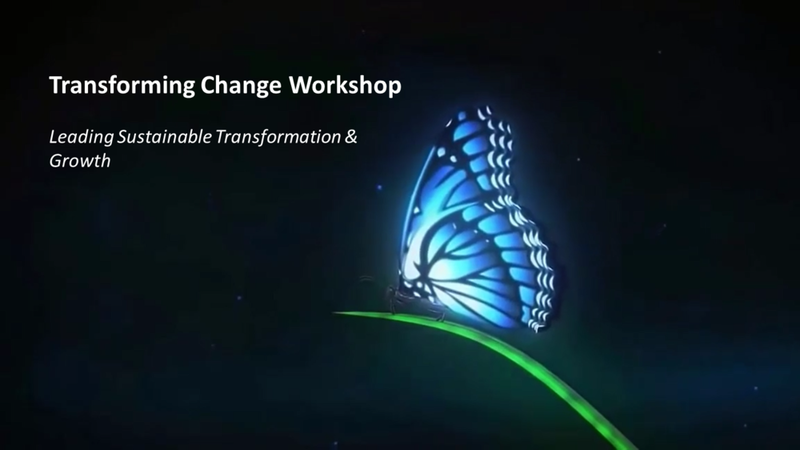 We are proud to present the first webinar series from Change Differently for free. We hope the content of each one adds value to the every day running of your organisation and brings some light-bulb moments for you in creating sustainable success. Dates and times are based on UK times, but have been carefully chosen to include as much demographic as possible. We will be adding these to this page as events as well. Click on the link below to register. Jan 13th, 4pm - Gen Y, are they really that different? June 16th, 4pm - Values, are they just wall decoration? On the 1st of December we will be announcing the dates of our Free webinar series. First topic is for December to ensure we all start with the right foot for 2016. For now, these are our topics. Values, are they just wall decoration?